On Sunday, 10-18-09, our Strobist group had a halloween theme to our shoot. 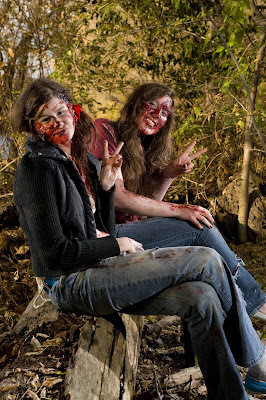 This set of photos are of Rehana Power and Kayla Baylin as zombies. I'll have more photos later this week of other Halloween themes.